Here’s a simple heart-healthy recipe using ’Better for the Heart, Better for the Budget’ Jolly Canola Oil. <> Without a doubt, we are living in the age of healthier food. That is why healthier options to the usual cooking ingredients are now widely available in the market. If you think that dishes with fried ingredients or those with cooking oil are bad for your health, think again. Jolly Heart Mate Canola Oil is a heart-healthy, versatile, and value-for-money cooking oil. 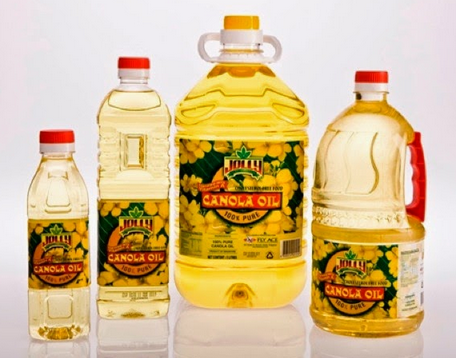 You may have already heard that Canola Oil is among the healthiest cooking oils available, thanks to its lower saturated fat (Bad Fat) content and higher monounsaturated fat (Good Fat) content. 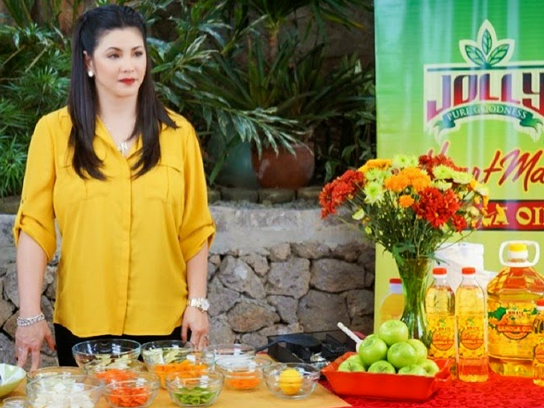 If you want to learn how to cook a few heart-healthy dishes using Jolly Canola Oil, tune in to GMA-7’s ‘Sarap Diva’ on January 24 and 31, from 9:40 a.m. to 10:25 a.m. Singer, actress, and TV host Regine Velasquez-Alcasid will dish out two recipes: Pamplina, which is a Spanish-influenced soup dish, and Pork Steak with Mushroom Bits, which can make for a really tasty meal. 1. Season pork steak in soy sauce, salt, and pepper, then set aside. 3. Remove from pan. Toss in the chopped garlic and Jolly Button Mushrooms. Sautee then season with some salt, pepper, and ground paprika.